At €9.99, this is quite an affordable option, but still it isn’t the cheapest either. There are liquid highlighters out there that are more affordable. However, the more affordable options can also be a bit glittery or too dark. This is definitely not that. It is only available in two shades: a light iridescent shade and a light gold. So these will work well on anything up to a medium skin tone, however this does not cater to darker skin tones unfortunately. What I like about this product most is the packaging. This product comes in a handy squeezy tube. This makes it super easy to squeeze out just the right amount of product to prevent you from going overboard. With liquid highlighter it is always most important to get just the right amount to highlight, but to not overdo it. And while I am aware that some people like that blinding, see it from space, highlighters it is not my daily cup of tea. As you can see, the packaging makes it super easy to squeeze out a tiny little dot. And that tiny little dot goes a very long way. A full on swatch is quite intense and even when blended into the skin it is a bit much for my liking. While some liquid highlighters are perfect for blending in with foundation for that added glow, this is not that kind of highlighter. This is better to layer onto the skin as a highlighter, but it is not great for mixing unless you want to look like an alien. That being said however, this doesn’t have noticeable glitter or shimmer which is always a win. 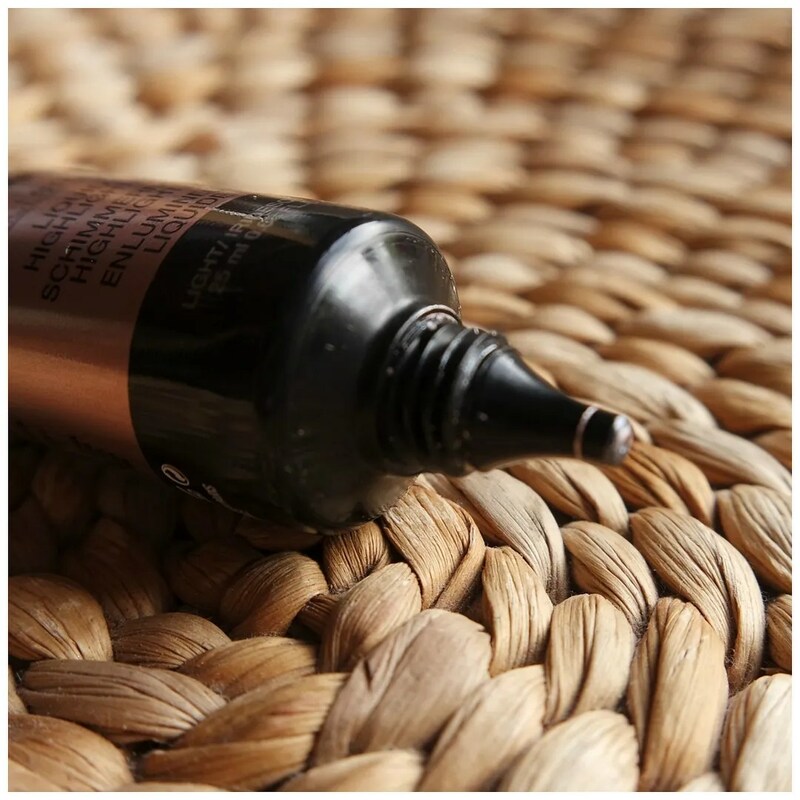 Texture wise this product isn’t too greasy and eventually dries down and stays put. So this is perfect to wear to the pool, the beach or your summer travels, because this will not budge once it is on. That does mean you have little time to play with this to really blend it in and since it is quite a blinding highlighter that can make the highlighter look like a stripe on your face. Yup, this is NOT a subtle highlight. Highlighter can be quite difficult to show up in photos, but this has no issues what so ever. I applied this to bare skin and I think that works best. I tried it several times, but the best way to use this is under makeup, not over. As the product dries quickly it can move any makeup underneath as you try and blend this in. 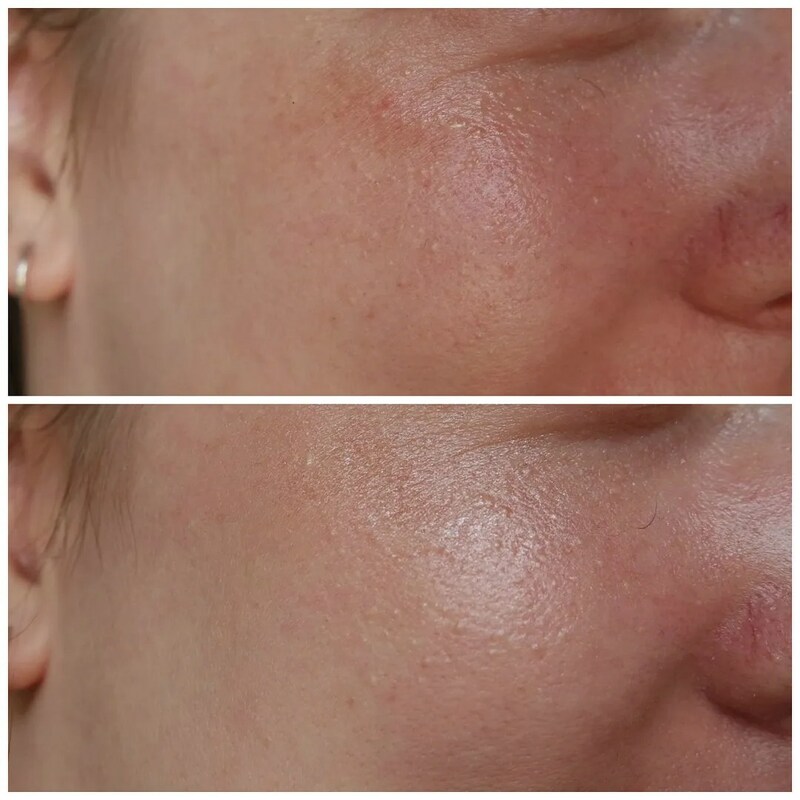 Moreover, the glow is strong enough to peek through your light coverage foundation. 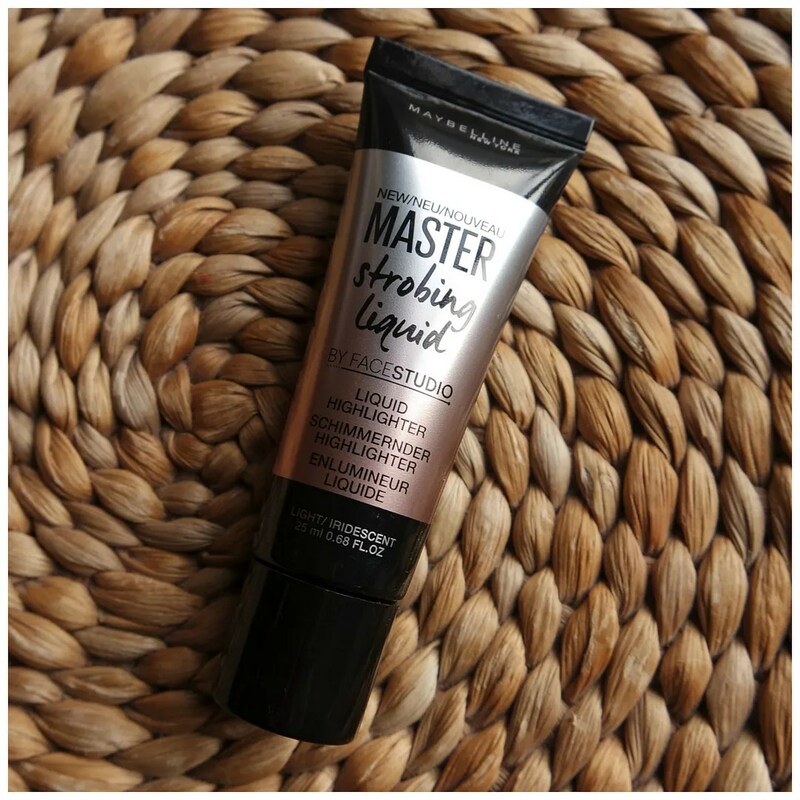 If you are looking for a highlighter that will not budge and stay on your sweaty face then the Maybelline liquid highlighter is a good option to look into. It is not too expensive and it comes with quite a bit of product. Additionally it does not budge and if you can find a color for you it is a great one to layer under foundation. Will I wear this tons? 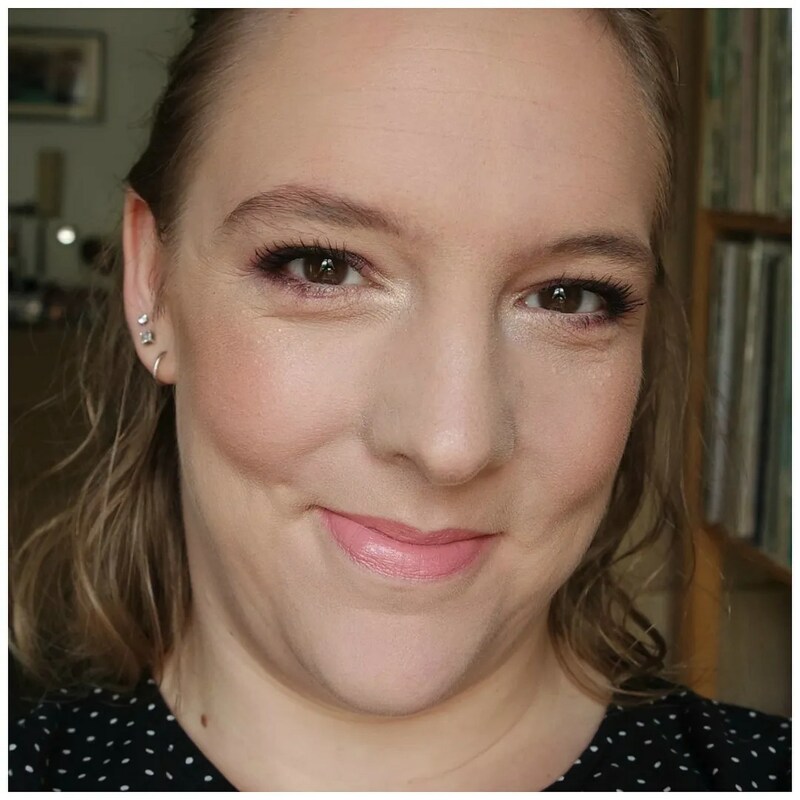 No, as I mentioned this is a product I only reach for in the summer and it is also a bit of a hassle to use and I often forget to layer this underneath my foundation. But in terms of liquid highlighter, this is a definitely a good one. What liquid highlighter would you recommend? This liquid highlighter is great. I never has used one like this. It is really good! It also comes in a golden shade that may be great for your skin tone. This color is beautiful! I do not usually use liquid highlights since I have oily skin and seem to always apply powder all over my face haha. But this color is super pretty and I definitely need to get into trying out different liquid highlights! This definitely has a dry down and may look great under your foundation so you can set it over the primer and then set it with powder. Ohh that is a great idea! I will definitely give this a try, thanks so much! I don’t really use too many liquid highlighted but Becca Creme highlighters are great!! I haven’t tried those. They look intense and kind of intimidate me. I have the champagne one and it is way more subtle than you’d think.